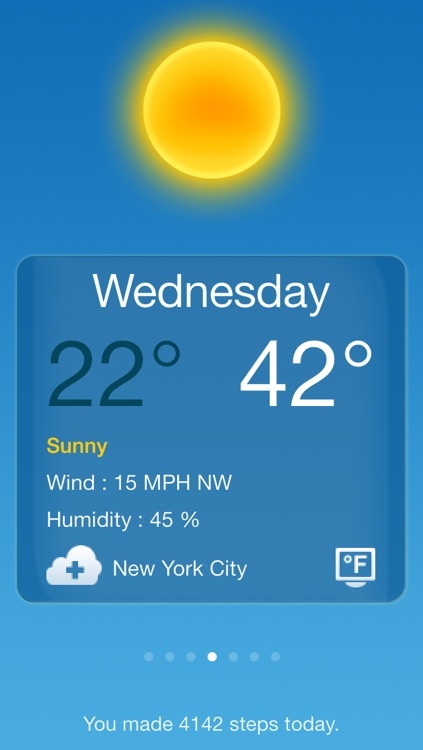 ◉ The most beautiful and simple way to check for weather information on your iPhone. ◉ Elegant design showing the day and night cycle. 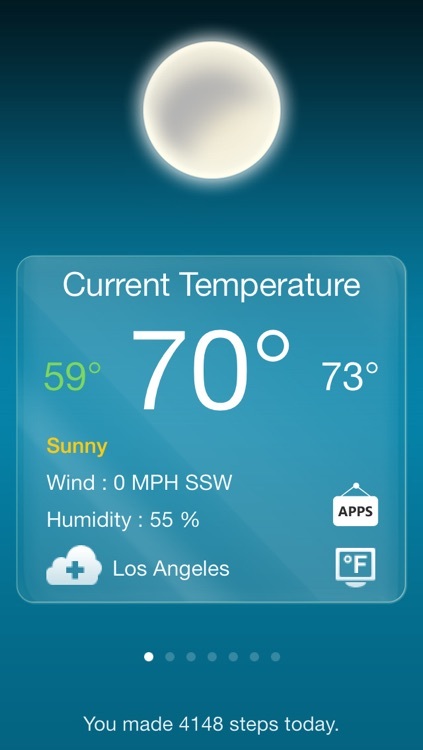 ◉ Real time weather information based on your current location (GPS or WiFi) wherever you are in the world. It is very useful when you are traveling. ◉ Local condition report (with a stylish icon for each weather condition), temperature, high & low, wind speed & direction, and humidity level. 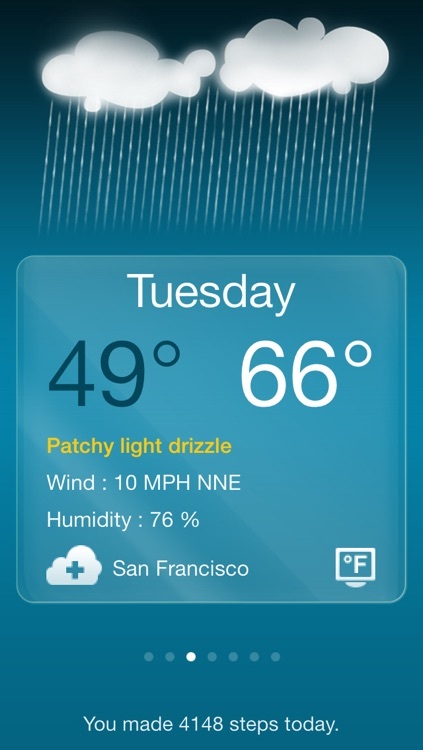 ◉ 6-day local weather forecast for every city. 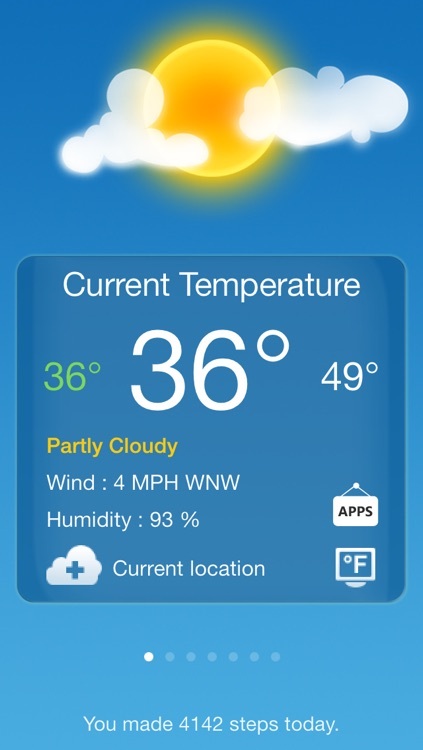 ◉ Most accurate weather application on the AppStore. This application requires an active Internet connection to retrieve data. You also need to turn on "Location Services" option in the settings of your iPhone.